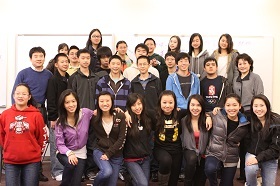 Northwest Chinese School (NWCS) is a Washington State registered non-profit organization founded in 1995. NWCS specializes in teaching Mandarin, Simplified Chinese and Pin-Yin. NWCS is accredited by the Northwest Association of Accredited Schools. Northwest Association of Accredited Schools (NAAS).The student who learn the Chinese language at NWCS will be able to receive high school world language course credits. A student has to have taken Chinese Language class at NWCS for three years （7th ,8th, and 9th grade)to apply for course credit. The maximum credit a student can receive is TWO (2) YEARS for the World Language Course. A student must have at least maintained a C Grade in these THREE (3) YEARS to apply for credit. A student needs to submit an application with his/her report cards to NWCS. NWCS will provide the credit transfer letter along with the verified student report to the student.